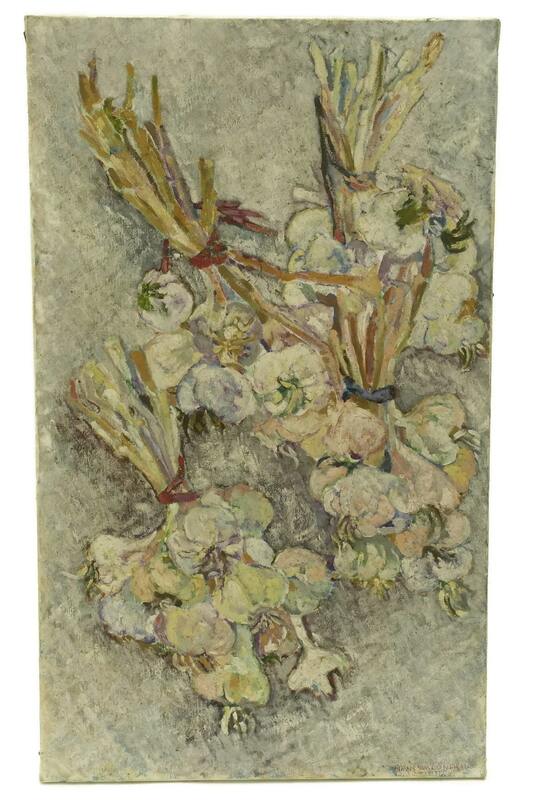 A lovely vintage French garlic still life painting from the early 1980s. 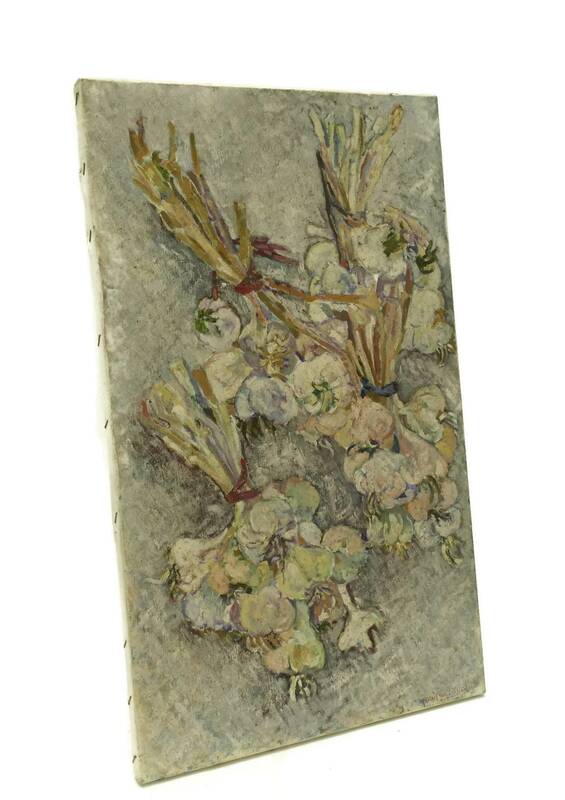 The original art still life has been created in a long format and has been painted in oils on stretched canvas. 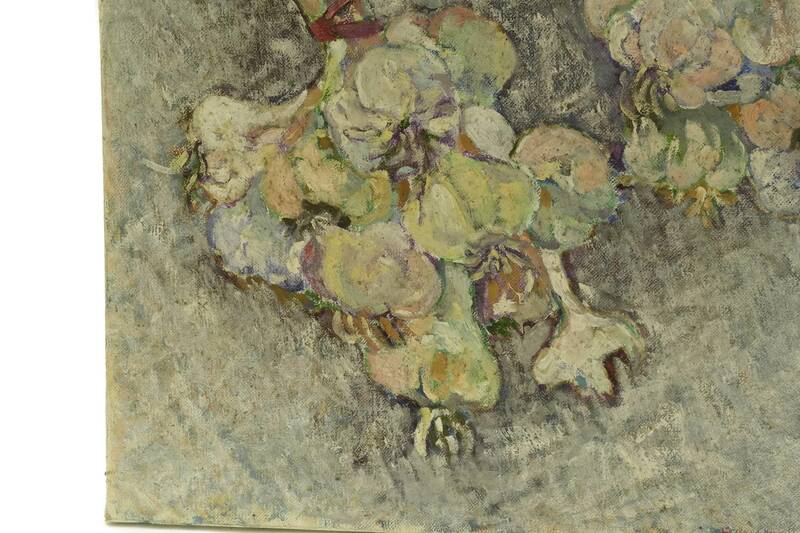 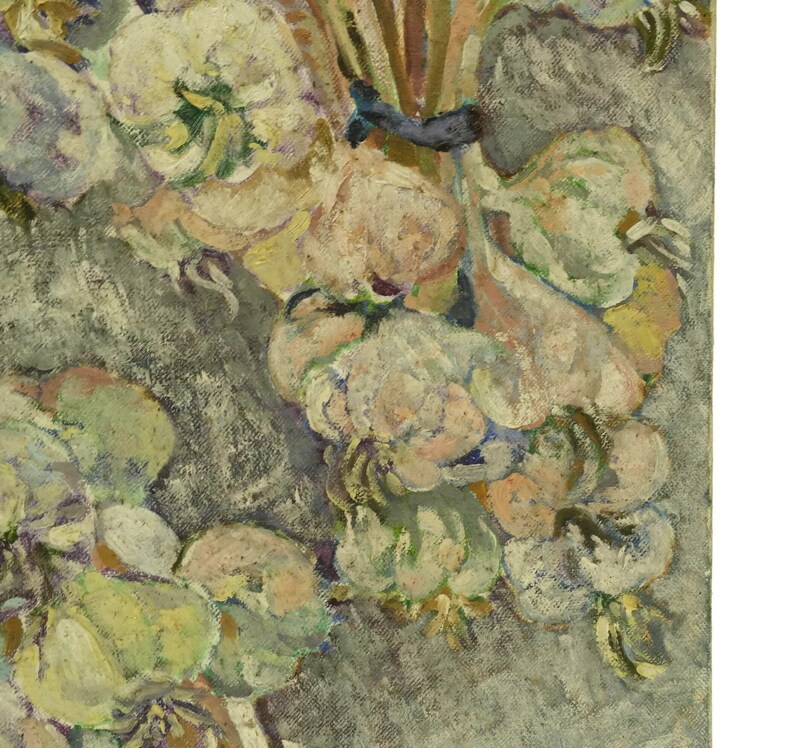 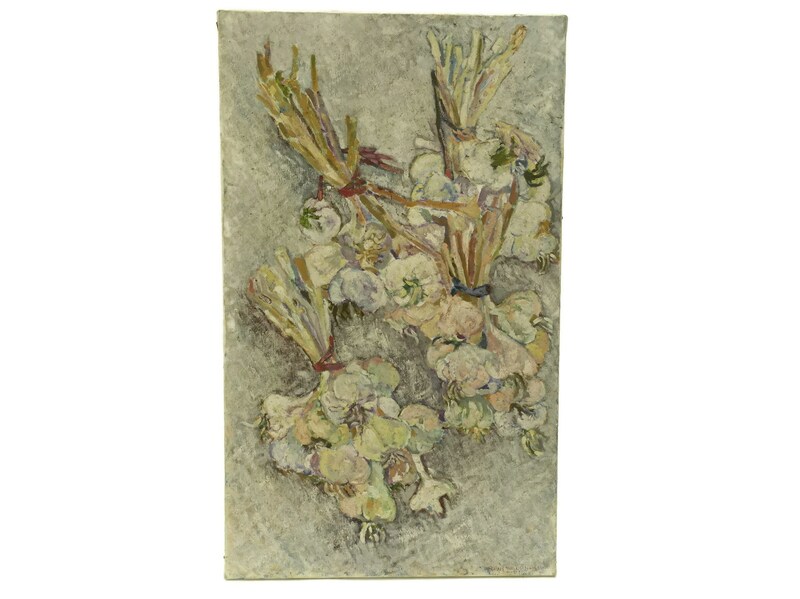 It portrays traditional bundles of garlic which have been painted in an impressionist style with a soft palette of shades. 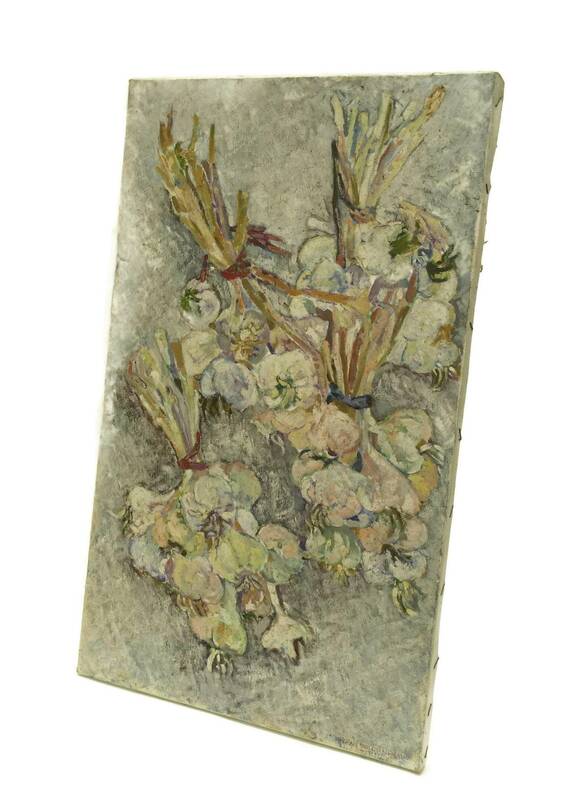 It would be a charming accent in a rustic French country kitchen. 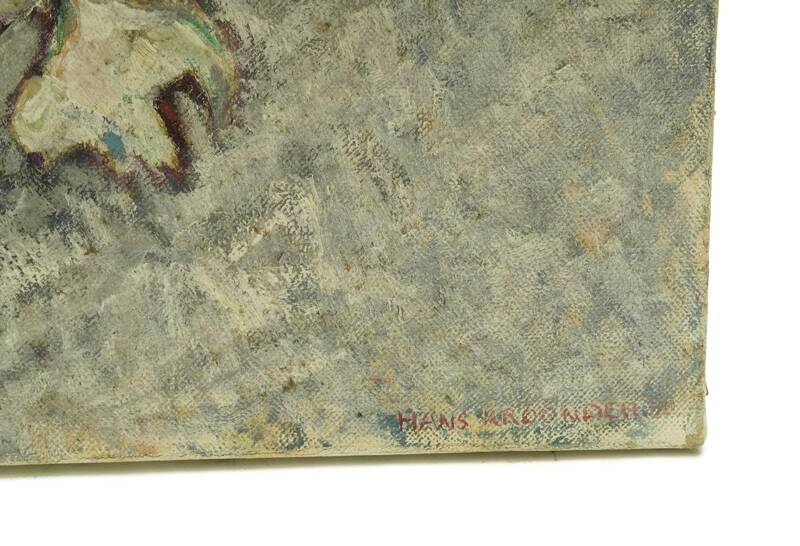 The work has been signed and dated by the artist Hans Kroonder. 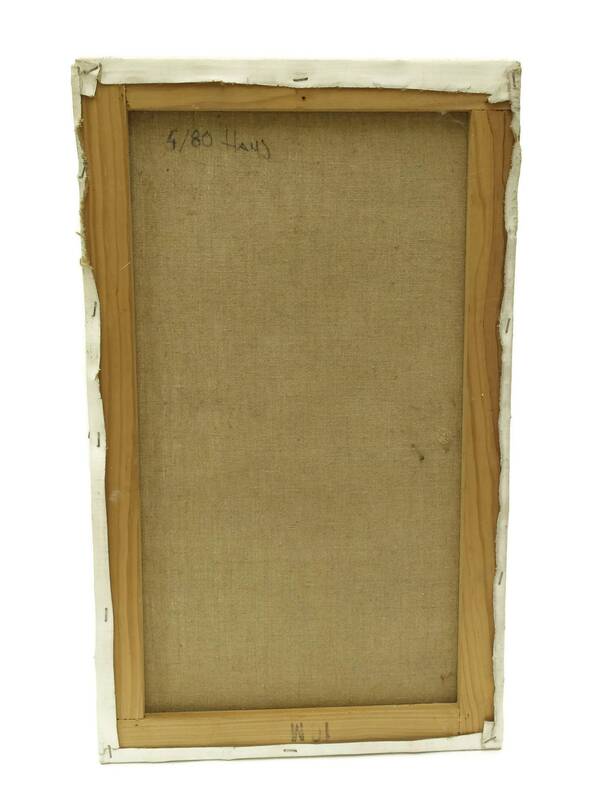 It will make a great gift for any art lover. 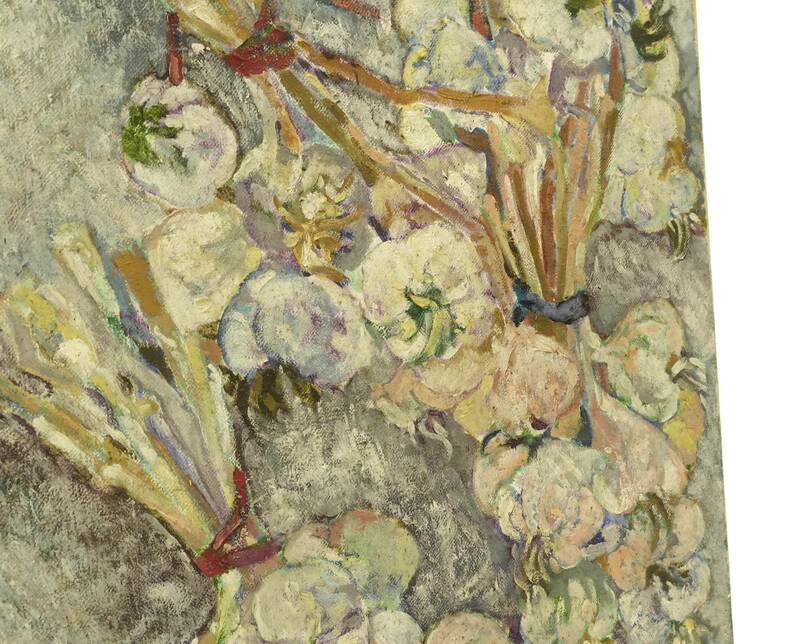 (56 cm x 33 cm). 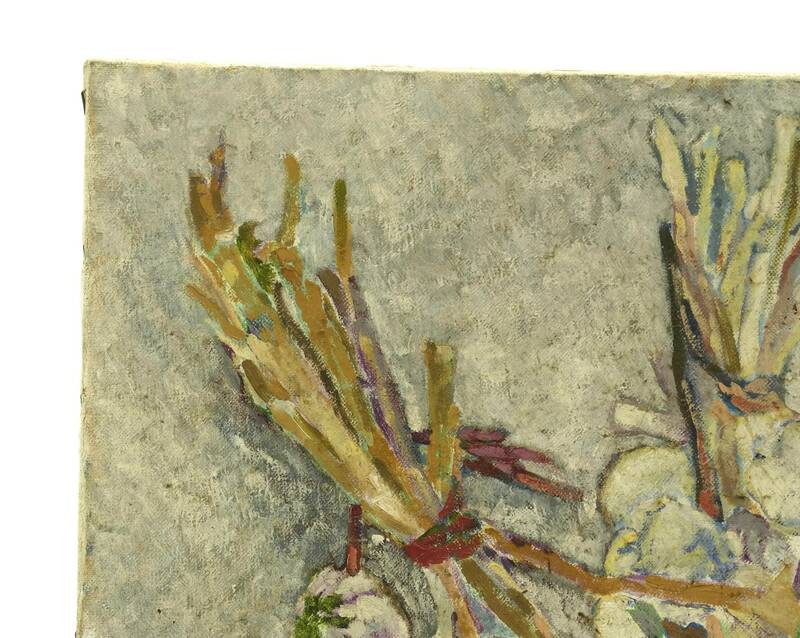 The garlic painting is in very good vintage condition.